I am Publicly Launching a Private Label Product. Want to Join Me? Are you a fan of hearing and reading about Amazon FBA success stories like me–people who started a private label brand and within a few months doing serious revenue figures? Inspiring, mind-bending, and addictive. Scott Voelker and Ryan Moran have been very generous in laying out every detail of the private label blueprint to success, and then there are entrepreneurs like John Lee Dumas and Pat Flynn who have share the numbers behind their success in their monthly income reports, down to the penny. Incredible. Despite this environment of “give first”, I have people ask me all the time to review their product ideas. Questions like: Are there any secrets to private labeling that the influencers don’t mention? Is it really feasible to achieve a six figure recurring revenue business so quickly? Will this product sell through? One consequence of the Amazon marketplace being driven by competition is that sellers are compelled to maintain a level of secrecy, especially in regards to what product they sell. This makes total sense, as it is an unfortunately common practice to see fake negative reviews for competitors, or oversaturation for products that are presumed to sell well (garcinia cambrogia anyone?). But don’t you ever wonder exactly how other people launch a private label product, from finding an idea to generating your first profits? Well, I think it is time to make the whole process transparent, and collaborative. So I am planning to start a collaborative Amazon private label product launch, with full transparency. Why am I doing this? I have found that The Amazon selling community is an incredible group of people, something that we absolutely love being part of. And I want to pay forward everything that we have gotten from you. To do so, I think that sharing every single detail of a product launch would be valuable for everyone to observe. We will be starting as a totally blank slate at this point. I am excited to see what product we may start with. And of course, your input will help determine what we sell, so please get involved! I want to be very clear: 100% of all proceeds from this product will be donated to charity. I will be hosting weekly webinars to run through the whole process starting with a webinar on October 13th. If you want to stay in the loop and join, please subscribe to our blog where we will be sending updates. We will be recording and posting the webinars, but I hope you can join the webinars so that I can answer your questions in real time. Well I am so excited to get this started, and I really hope that I can share some techniques with you to bring you private label success. If you want to join Week 1 of this launch, head to this page to register for the webinar on October 13th at 9p EST / 6p PST. Do you have any questions or thoughts to share? Please drop them in the comments section so we can start the discussion! 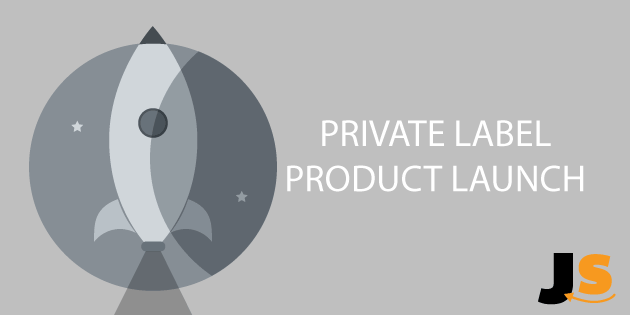 I missed the second webinar on launching a private label product. I would like to watch the webinar. Where can I find it and how do I watch it. The first webinar said I could find it on the blog but it’s not here.